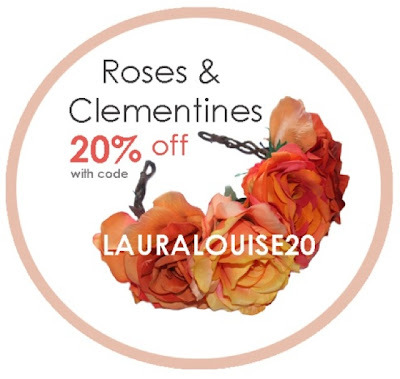 LAURA LOUISE HAYNES: Roses&Clementines 20% Off. Hey guys. I am now a Roses&Clementines Flower girl. If you use the code LAURALOUISE20, you will be able to receive 20% discount including sale items. If you have never heard of Roses&Clementines before then I will tell you that they design the most gorgeous handmade floral crowns, sunglasses and headbands for a very good price. 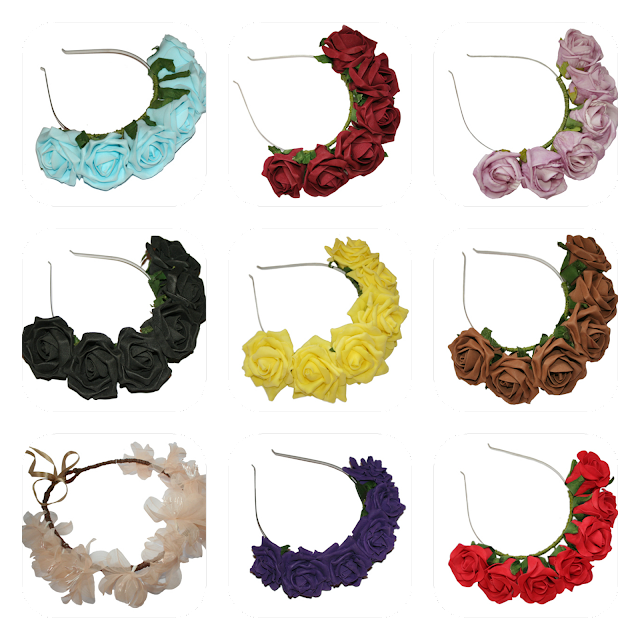 Lots of variety and this summer is all about the floral crown for holidays and festivals! Go have a look at www.RosesandClementines.com.